27 February 2011 saw one of the best games in the history of world cup cricket. It was the 11th game in the 2011 world cup series, pitting India against England in Kolkatta, Bengalaru, India. 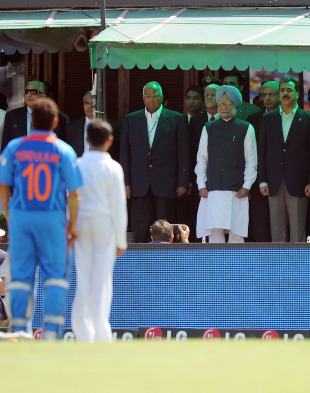 The toss was won by India, who chose to bat, and with a brilliant 120 by Sachin Tendulkar, went on to amass an imposing total of 338. At this time, the record for the highest successful run chase in world cup cricket was held by Sri Lanka who on February 23rd 1992 successfully chased Zimbabwe’s score of 312 to win in the second ball of the last over. Quite simply, history was on the side of India, and England’s chances seemed bleak. Read the rest of this entry ? Ricky Ponting’s resignation yesterday ends one of the most successful, and most polarizing, reigns as captain of the Australia cricket team. Ponting led Australia in 77 test matches, winning 48 to surpass his predecessor Steve Waugh’s record of 41 test victories as captain. He also captained Australia in 227 limited-overs internationals, of which he won 163, encompassing two World Cups triumphs and a Champions Trophy title. Throughout his nine years at the helm, Ponting fashioned unprecedented records of individual and team success, including a record-equaling 16 consecutive test wins between December 2005 and Read the rest of this entry ? Whether it’s in the first match of group play against Canada or knocking off New Zealand to get back to a second straight final, Sri Lanka’s flair continues to flare at the World Cup. Sri Lanka is now one step away from winning it all, just as it did the last time the event was held in the Asian subcontinent in 1996. For any neutral fan, it’s hard not to enjoy watching Sri Lanka. There’s an intangible quality to the Sri Lankans’ play that makes them highly entertaining. Instead of producing mechanical players off a factory line in the way that a country like England does, Sri Lanka develops players who are unique — no two Sri Lankan players are ever alike — and that versatility is what has enabled it to become an elite cricket nation. Nowhere is that more evident than in fast bowler Lasith Malinga. Like Troy Polamalu, the diminutive speedster stands out for having a very distinct hairdo combined with unparalleled skills on the field. His unorthodox bowling action makes it hard to pick up the ball being delivered out of his hand while the pinpoint accuracy for all of his variations makes him just as devastating as Cliff Lee is on the mound. Read the rest of this entry ? When Tom Moody left the Sri Lankan coaching position in 2007, he was asked to provide recommendations for his successor. The first name he suggested was that of Jamie Siddons and the Sri Lankan board almost appointed him. After agreeing to take over, Siddons went back on his words as he was compelled to stay back in Australia due to family commitments. (A few months later, Siddons accepted the coaching job of Bangladesh, a position he still holds.) 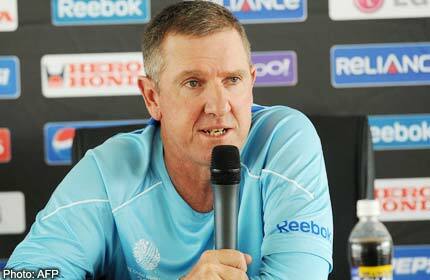 Moody’s second recommendation happened to be Trevor Bayliss. Siddons was prolific for Victoria in the Sheffield Shied and had played a One-Day international for Australia, but Bayliss’ experience was restricted to 58 first class matches for New South Wales. Read the rest of this entry ? It’s impossible not to feel for the players, all 22 of them. It is no point pretending that this is just another match. It is the semi-final of the World Cup. And it’s between India and Pakistan. Between them, there has been Partition. Three wars. Suspicion. Animosity. Kashmir. Also diplomacy. Politics. Attempted reconciliation. Cricket can never expect to fully free itself of the web of history. And though it is a huge and unfair burden that the cricketers carry, it is their reality. But there is another way of looking at India and Pakistan. No two cricket nations have so much in common. There is the language and culture. Food. A shared passion for films and music. So much so that when an Indian or Pakistani lands either in Delhi or Lahore, it feels just like home. And Indian and Pakistani cricketers are friendlier with each other than they are with players from any other country. It’s a natural kinship shared among them, perhaps reinforced by empathy. Look at this photgraphs of Shahid Afridi and MS Dhoni: it’s hard to picture any other pair of captains presenting a picture of such warmth and Read the rest of this entry ? England’s 1981 Ashes hero Sir Ian Botham says he will consider a walk from Point Pedro to Dondra Point to raise funds to help children in the north rebuild their lives. Botham together with Sri Lankan off-spinner Muttiah Muralitharan flew to Mankulam to witness the site where a sports complex will be built by the Foundation of Goodness, a charity supported generously by Muralitharan, Chaminda Vaas and Sri Lanka captain Kumar Sangakkara. The project in the north is being funded by Laureus. 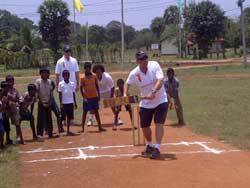 On Sunday evening, after his visit to Mankulam, Botham addressed the media in Colombo. Asked by Professor Michael Roberts whether he would undertake something like his 1000 mile walk stretching the length of Britain that he undertook to help leukemia patients a few years back, Sir Ian answered in the affirmative. “I’d have to think about that. It’s so hot here,” Botham said. But when informed that the length of Sri Lanka was 380 km he asked it to be converted into miles and on being told it was 260 miles, replied, ‘Well that’s different, I’ll consider that.’ Since the 2004 tsunami, Botham has been a frequent visitor to southern coastal village of Seenigama, where Vaas, Muralitharan and Sangakkara support a charity run by philanthropist Kushil Gunasekara. On Sunday Botham announced his plans to Read the rest of this entry ? You are currently browsing the Critiquing Cricket blog archives for March, 2011.